Since becoming pregnant, Lebanese food has been my jam, to put it eloquently. Well, just the hummus beiruty, to be precise. So much so, that my Uber Eats history is just a list of Lebanese restaurants located near me with one order: hummus beiruty, and maybe the mint lemonade too. 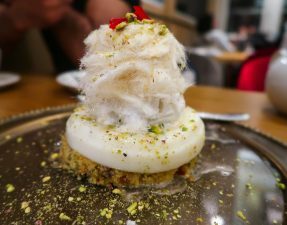 I’ve been on a search high and low for the best one in London and so far I’ve narrowed it down to two: Ranoush and Abd El Wahab. Next on my list: the insanely popular Ishbilia restaurant in Knightsbridge. In case you didn’t know, hummus beiruty is your typical hummus whizzed up with chillies, peppers, parsley, and garlic. Naturally, the hummus base is important – it needs to be thick with a whipped texture – and the additional ingredients should be finely chopped, but not so much that it just blends in. Yes, I’m particular, but I’ve dismissed places that just throw in red chilli powder and call it a day (looking at you Tarboush on Edgware Road). Back to Ishbilia. Ishbilia has been around since 1998 (20 years!) 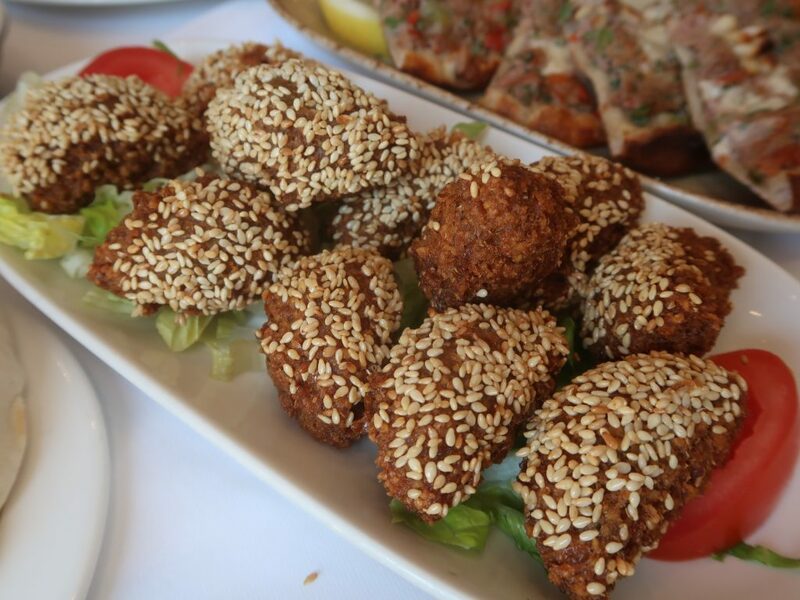 and is known to be the hot spot for celebrity sighting as well as being the best Lebanese in London. I’ve heard rumours of Leonardo Dicaprio blessing them with his handsome presence, and I actually did indeed manage to spot Kareena and Karishma Kapoor when I visited there last Thursday. But my main focus was the hummus beiruti so let’s get to the food. Yes, the only thing I came here for! Sadly, it did not live up to my expectations but it was one of the better ones I’ve had. 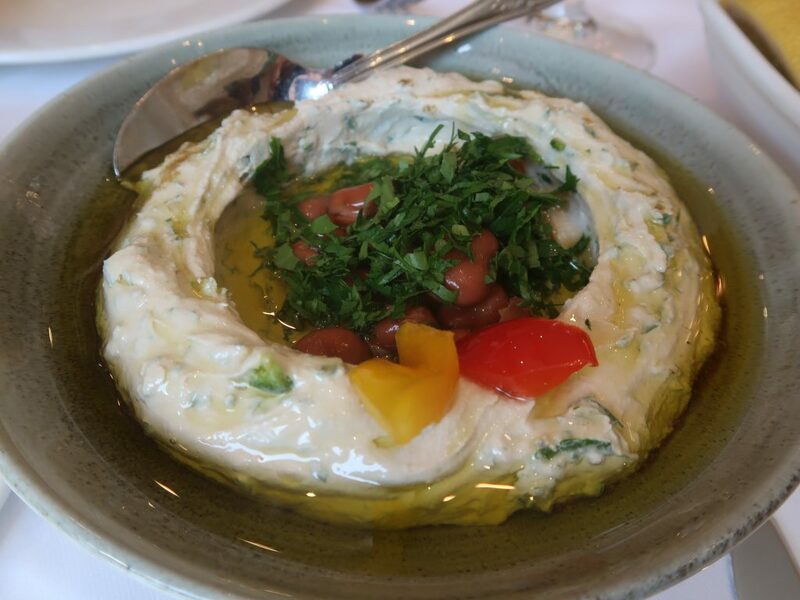 Their hummus was lovely, thick but not grainy, and they had served it with hot fava beans for the added heat. However, it was extremely oily and lacked the punch that good hummus beiruty gives. Again, I had high expectations for the fatoush, but it was sadly nothing out of the ordinary. 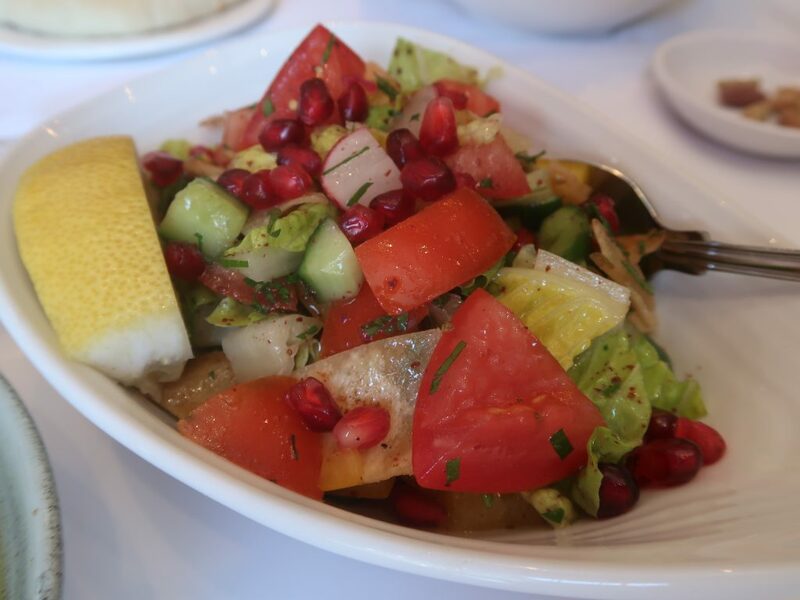 The fried pieces of bread missed that crunch you usually have and the salad lacked the familiar tang from the sumac. 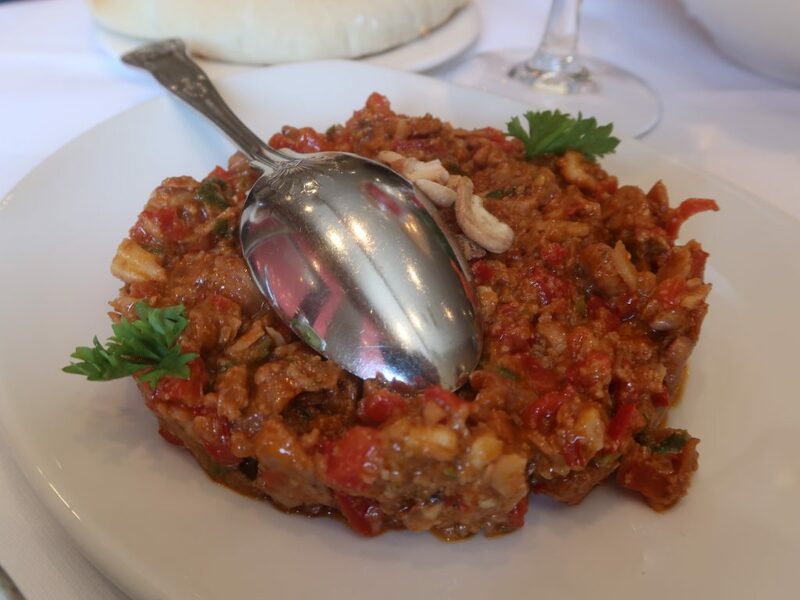 A popular red pepper dip mixed with crushed nuts and chillies. I enjoyed the texture of the crushed nuts against the smooth sauce, but the muharamarah overall needed more chillies. 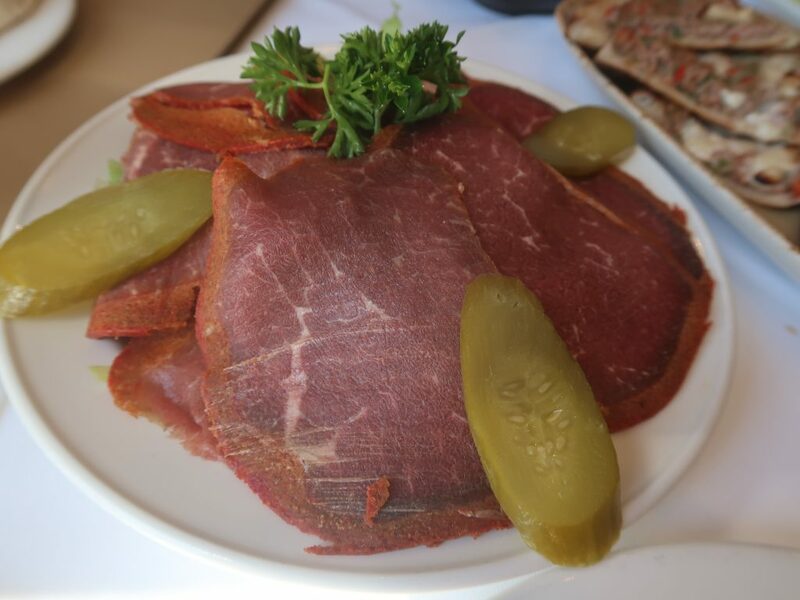 Slices of smoked beef fillet that had a good, spiced outer layer. It was a little too chewy for my liking but had a good flavour. 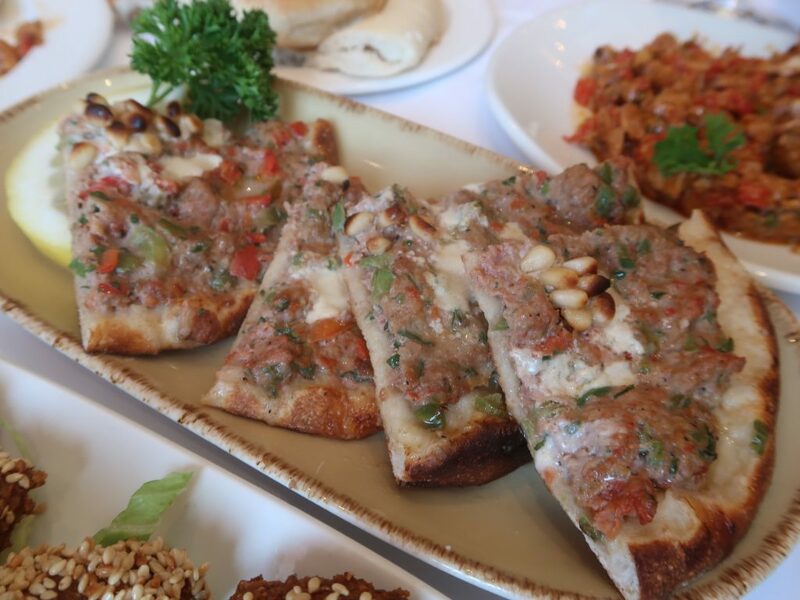 This grilled pitta bread topped with minced lamb, parsley, pepper, and pine nuts ended up becoming my favourite dish of the meal. The meat was flavoured subtly, with the juices soaking into the bread base, and the onions and peppers releasing a nice sweetness into the lamb. The falafels were fantastic; crisp on the outside with a super fluffy inside and not a drop of oil present. They were so moreish and cute-sized that I couldn’t stop popping them in my mouth. I’m not that big of a fan of offal but I can just about to manage chicken liver when it’s done well. 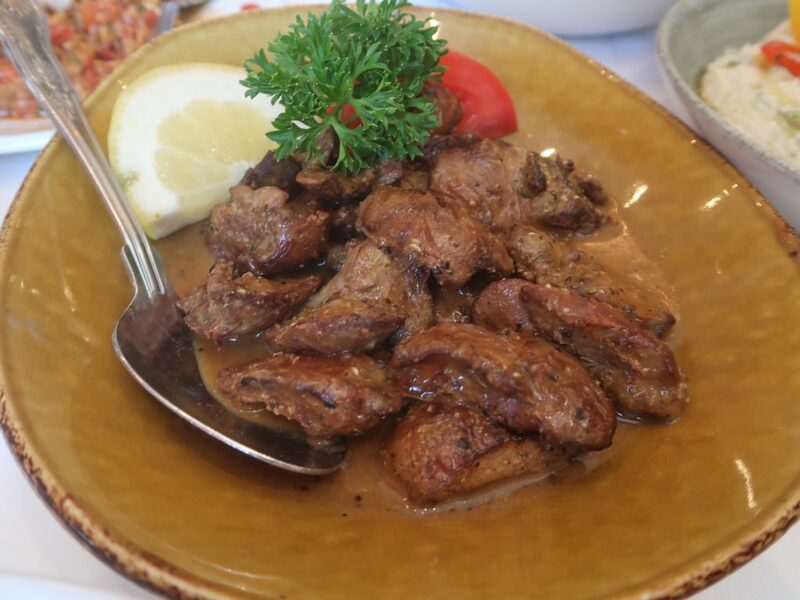 Ishbilia’s liver was extremely good, mouth-melting and tender, and the sauce packed a decent spicy kick to it, which funnily reminded me of Nando’s chicken liver marinade. The total bill amounted to £90 for three people, including drink, so around £30 each. A little steep, but given the location and the fame surrounding Ishbilia, I’m not really surprised. What I am surprised at is that the service charge is nowhere to be found on the bill but instead a cover charge of £2.50 per person, hmm. The service was hit and miss, with the staff favouring those who had a famous surname or a fat bank account, but when they did pay you attention, they were incredibly attentive. 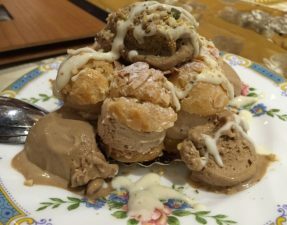 From what I had eaten, I can get the hype behind Ishbilia but would I go as far as saying it is the best Lebanese in town? Definitely not. 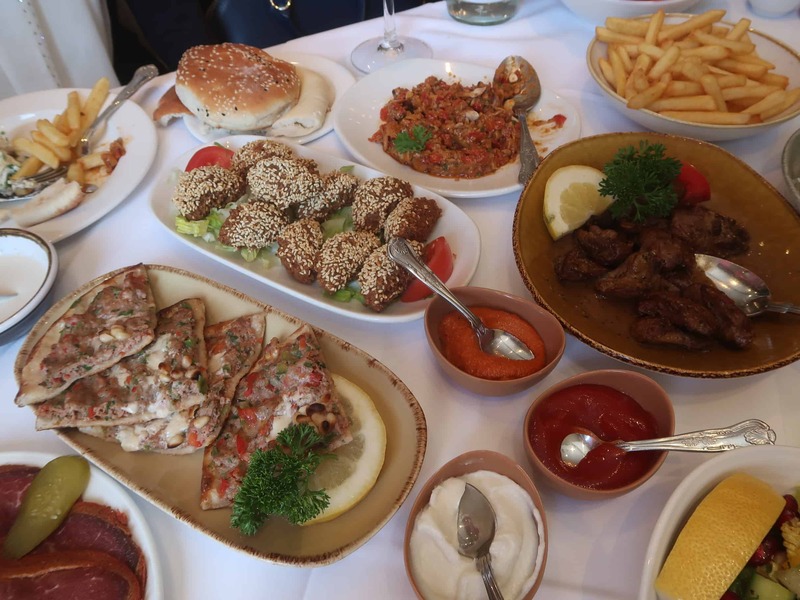 With the new Abd El Wahab located just 10 minutes away, I can easily say that Ishbilia is one of the better Lebanese restaurants, one that I would save for a date night with the missus or even a quick mezze if shopping at Harrods, but not the best. I will definitely return though to try out the main courses as well as some celebrity spotting! 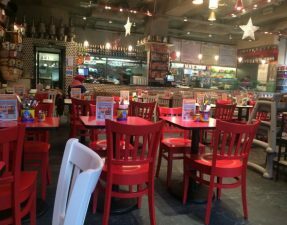 – Halal status on all meats verified by restaurant with certificates.